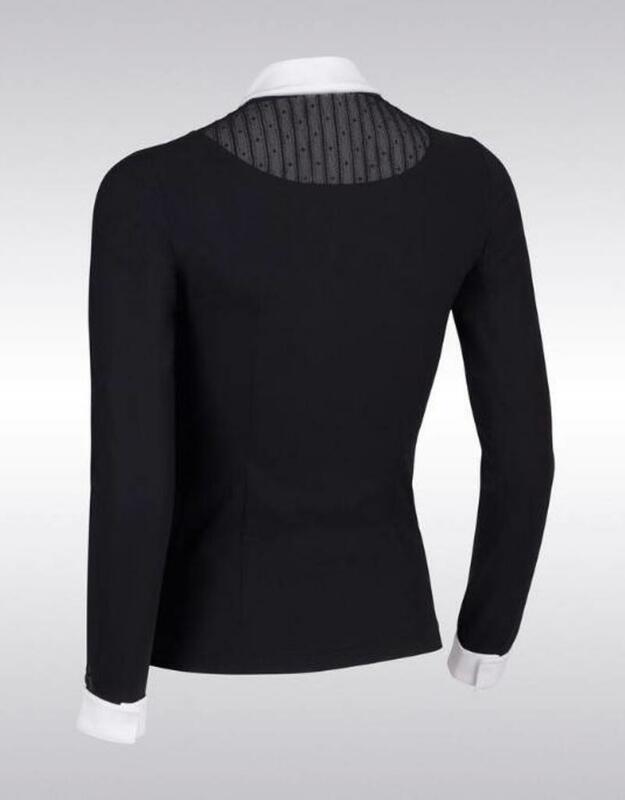 The Béatrice long sleeves shirt is designed with an ultra stretch, high breathable, very comfortable and soft touch fabric that ensures freedom of movement and durability. 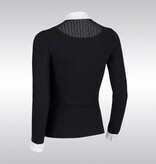 It offers UV protection thanks to the special construction of the fabric. 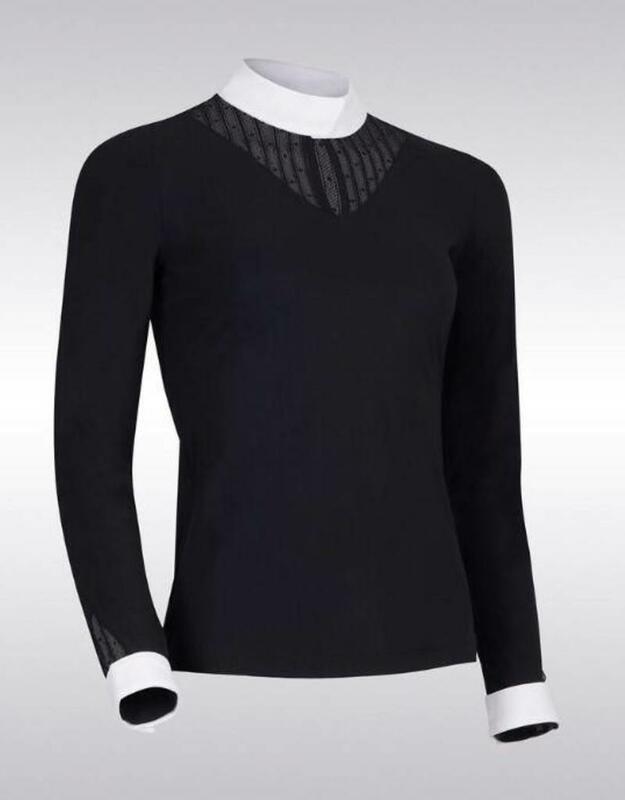 The Béatrice shirt is decorated with lace on the collar and the sleeves and with a Samshield blazon made with Swarovski® crystals on a sleeve. It combines technicity and refinement.